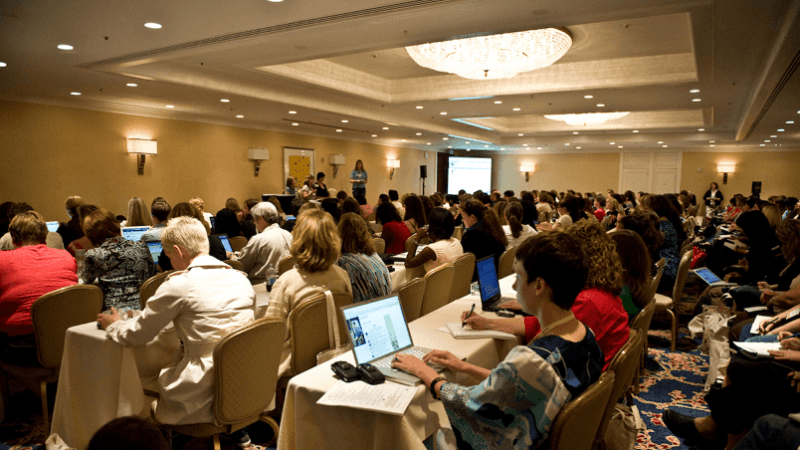 Getting to attend conferences like BlogHer, Social Media Marketing World, and New Media Expo can help you network with other online business owners. But with some conference tickets approaching $1,000 (not including the cost of travel, meals, and hotel expenses), how can you afford it if you’re just starting out? Did you know that most of your trip can be a tax deduction? That means you can deduct many of the trip expenses from your taxable income, reducing your tax liability at the end of the year. Writing off the cost of a business conference could potentially shave hundreds of dollars off your tax bill. While conferences and conventions are often held in exotic places, days of keynote speeches and breakout groups hardly qualify as romantic getaways. But you can structure the trip in a way that successfully mixes business with pleasure. By arriving a day or two early or delaying your departure, you can explore and relax knowing the majority of your travel costs were a write-off. But unless your significant other is an employee or otherwise actively involved in your business, you need to be careful about keeping the business and pleasure sides of the trip separate. Fishman advises, “You can take your spouse with you and deduct all the expenses you’d have if you were traveling alone – a hotel room for one, your plane ticket, and 50% of your food.” You can’t deduct anything for your spouse (like their plane ticket) and you get no deductions for the days where you spent most of your time sightseeing or lounging by the pool. If you take a tax deduction on your conference travel, make sure to keep good records. “Lack of adequate records is by far the most common reason people lose deductions when they are audited by the IRS,” Fishman says. While the IRS doesn’t make you keep receipts for expenses under $75, it’s a good idea to keep all of your receipts in order to make documentation easier. If you are claiming a tax deduction on a meal out, it’s a good idea to make a note on the receipt about who was there and how the meal was business-related. “There are many apps that make record keeping easy to do. You can, for example, take photos with your iPhone,” Fishman says. While you’re allowed to keep records in digital form, make sure to back them up regularly and keep the records at least seven years (or as required by the IRS). You should have an accountant review your deductions each year to make sure you’re taking advantage of every legitimate write-off (and not deducting something you shouldn’t be).